Join us near the library where we'll pop up our net and play fun tennis games during RCC's Spring Fling sponsored by Student Life. Join us near the library where we'll pop up our net and play fun tennis games during RCC's Spring Fling sponsored by Student Life. 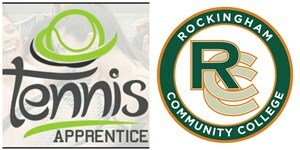 Meet Sara Worth Hodges, Team Tennis and Growth Leagues Coordinator from USTA NC and Shelby Rhyne from Rockingham County Tennis Association to learn more about RCC intramural tennis and Tennis Apprentice classes and other tennis news from around the county.